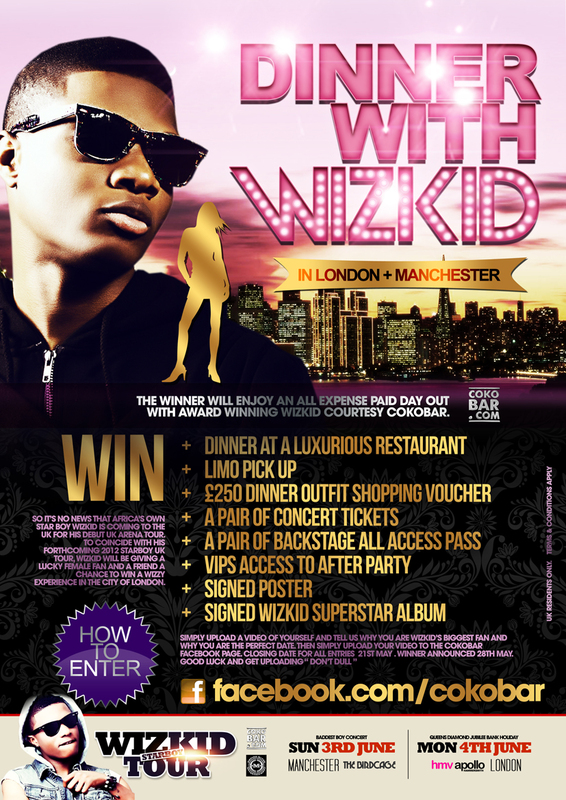 Dinner at a Luxurious Restaurant with Wizkid , picked up in a Limousine, £250 in vouchers to spend on an outfit, 2 Wizkid concert tickets, Backstage passes, Vip Access to the Wizkid After Party, Signed Poster & Superstar Album!!! This competition was brought to you buy COKOBAR.COM! 2 winners will be picked, a Manchester & London winner. To enter upload and send a video to facebook.com/cokobar explaning why you think you should win! All the way from Switzerland!!! A dance for Wiz!!! Love it! NEW VIDEO: NICKI MINAJ "RITE THRU ME"